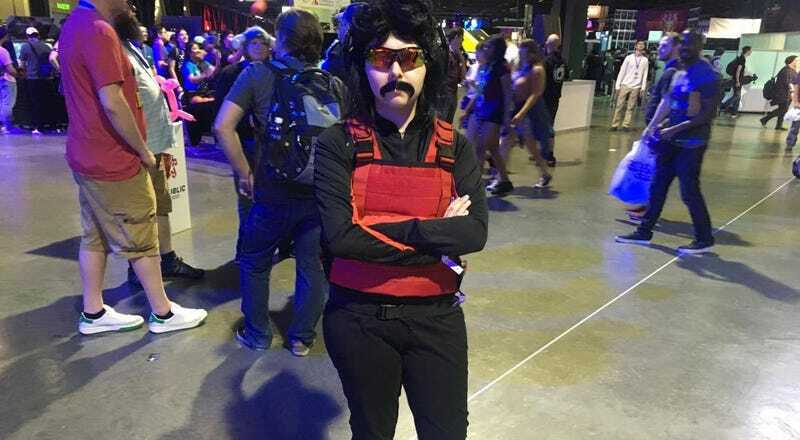 The meet-and-greet lines at TwitchCon are so long that not even a perfect cosplayer could get face time with Dr Disrespect. WiiMoon, a partnered Twitch streamer herself, told me she didn’t even know what she’d say to the Doc, but was sure it’d come to her in the moment. It’ll be a crime if they don’t meet at some point. Kotaku will continue to monitor this very important story as the weekend progresses.